At 10K Autos you are not just another sale. We want to make you part of our 10K Family. We strive to give you 100% satisfaction during, and after, the sale. We thoroughly inspect every vehicle as though our own kids will be driving them. We even recommend that you take our vehicle to your mechanic. Our 'No Hassle' pricing allows for a smooth and fast transaction. Come see the difference today! I had a great experience here! The owner was great! Efficient, kind, and did the paperwork fast pace while walking me through everything I signed! Answered all of my questions about the car with honesty. I am extremely pleased with this dealer! I went in looking for a car to do some miles and be reliable. The sales guys and Ed in particular are very professional and honest. the car i was interested in had a couple of minor issues which we managed to solve to my satisfactions. They are willing to work with you and your needs. I would not hesitate to recommend them to anyone who wants a 10K car! The owner should be proud of the business he is building and the team he has got. For once buying a car was a pleasure. We had a wonderful experience purchasing a car through 10K autos. Our sales rep was great and very easy to understand, the owner is very helpful, honest, and obviously cares about his customers, staff was friendly, and they have a great selection of reliable vehicles! My husband and I will definitely recommend 10k autos, and be back in the future! Great experience! My car went down a few days ago and I needed to get into a new one ASAP! Peter was very helpful and offered me a great price for my vehicle. So far I drove it almost 400 miles and the car is still running Great! I would definitely recommend this dealer to other. My experience here was great. all of the staff were very pleasant, they aren’t pushy, everything was quick and easy. I really enjoyed doing business with Ed! Thank you for getting me on the road. They were very professional. They were attentive to you. Pete and his team are second to none. No need to look anywhere else. These guys are the best in Greenville! Great experience. We shopped around at several dealers, but no one worked harder to get us in a car than Ed and Ray. When my mechanic couldn't verify a few things about the car, they took me into the shop and spent about an hour showing me new gaskets, belts, etc. Next time I need an inexpensive car, I'll save myself some time and start right here. Really, a great team. VERY fair prices, great customer service. I will definitely be back again to purchase my next vehicle here, the owner is greattt , he will help you anyway he can! Cedric Smith was my sells person, he took into consideration all that I asked for. He was very kind and took time to answer all questions. The owner was a gracious man. I was blessed with exactly what I wanted.Great experience ....I would recommend them to anyone! May God continue to bless your business as you meet the needs of His people! 10KAUTOS is NOT your typical run of the mill type Dealer. They are a PROFESSIONAL, TEAM- ORIENTES, KNOWLEDGEABLE and go the EXTRA MILE TEAM! Every person we came in contact with proved to do business with INTEGRITY. The office is SPOTLESS and WELCOMING. The uniform shirts are SHARP.. The lot is CLEAN. Plenty of cars to choose from. Thank you for the A+ SERVICE from inquiry to closed deal. I bought a car from 10k auto recently and had an awesome experience. My salesman, Chris, was very knowledgeable and experienced. Was a pleasure dealing with him. The owner, Peter, was great. This has been the best car buying experience. I would recommend 10k Auto to everyone. The most wonderful and most helpful people I’ve ever met. They helped me tremendously on finding a perfect car, especially what I was going through. Definitely recommend to anyone that needs a great and reliable car! Everything was quick, easy, & stress free. Had an awesome experience with 10k autos. Came in looking for a decent, affordable used car for college. I found one I liked, but it was above my price range. They let me take it to a shop to check it out before buying it, and only minor things were wrong with it, which 10k offered to fix for half price themselves. All in all, really nice honest people with affordable prices. Would definitely buy from them again! I dreaded having to buy another car after my 10 year old Toyota was totaled in a car accident. After looking on line endlessly, and speaking with several owners who posted their cars for sale through Offer Up, FB Marketplace, and the like, I decided to visit car dealerships the next morning. However, that night I happened upon the listing for 10K Autos. What luck! I found a car that I was interested in that was within my price range, and downloaded their online coupon. They called me the next morning as I was on my way there. From the first moment I met Rick, I knew that he would find me a car with my best interests in mind. He treated me with respect and kindness, gave me a great deal, took no deposit even though my insurance check was not clearing until the day after Labor Day. No tricks, double talk or coercing here. Just honest, hard working people building a solid business. I purchased a great car at a great price. Everyone at the dealership was wonderful. Thank you Peter, Rebecca and Rick! I very highly recommend! Rick was so helpful and really did everything to get us into the car I wanted. I was refreshing to have someone helping you and not pressuring you. Everyone there was very friendly, and the atmosphere was wonderful. I would recommend them to anyone that feels like that wants a good experience to buy car. Best vehicle buying experience I've ever had! These guys are super helpful, honest, and easy to work with. Communication was fantastic and they went above and beyond to make sure everything was perfect! I would highly recommend to anyone and will be seeing them for any future vehicle purchases. Very honest and friendly help from Ed on getting my mother in law a new car who was going into the situation at 59 years old and never bought her own car terrified of the process. Ed was kind enough to let me text drive the car to her house and everything. The service was so friendly and family like and the prices are unbeatable. I highly recommend this used car business to everyone. Overall the experience was fantastic. It was by far the easiest car buying experience we ever had. My new car is so clean and cute. Will continue to do businesses with them as needed. Thank you 10K Auto!! The price are great as well. Peter and his team are so very helpful and professional. 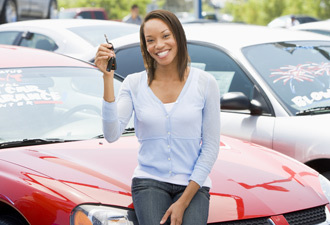 Everyone there was more than helpful in helping me find a car that fit my needs financially and otherwise! Even the mechanic came out to help. It was a great experience car shopping here! I would definitely recommend 10K Auto to anyone! !